Kent brewery, the next brewery in the challenge forgot we were coming!Boo So we came here and let the rest continue to Hopdeamon, Sheps, Nelson etc However, no kent beers here today. 12:15 Lunch stop. Only four tables not booked. We left at 13:15 and the pub was filling rapidly. Kent - Pale 4.00 Not as fresh tasting as it can be. CAMRA Xmas meal. Lovely food. Kent - Altered States 4.70 A new brew that wasnt quite ready but we persuaded the landlord to let us have a pint from the cellar. A brown bitter with a fruity overtone. Cloudy but i wont under mark it as it needed another day to settle. 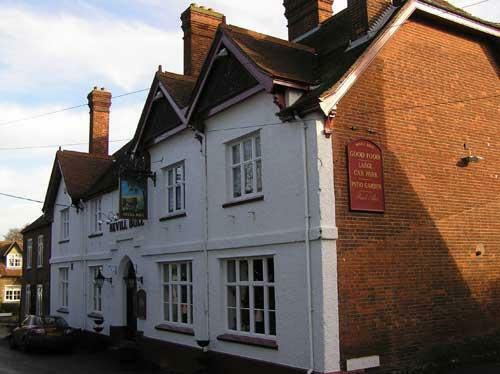 The pub is found in Birling, Kent, ME19 5JW. Large pub in Ryarsh Road, with plenty of seating although the majority is for food. 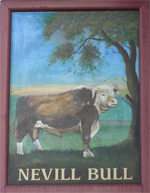 The name was changed in 1953 honouring a local landowner's son, Lt Michael Nevill, killed in WWII. We have visited this pub 29 times, seen 54 different beers and tried 43 of them.